Color palettes and flower varieties vary each week. The photos represent ARRANGEMENT size and aesthetic. 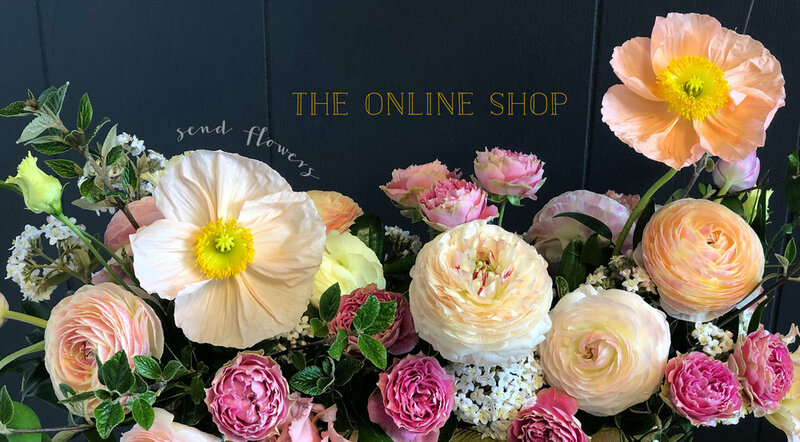 Each hand-tied bouquet and arrangement is made to order and artfully arranged using beautiful seasonal flowers and foliage that we have in our cooler at the time. Give us a call to see what lovelies we have stocked this week. Specific design AND COLOR requests may be accommodated if given adequate notice.